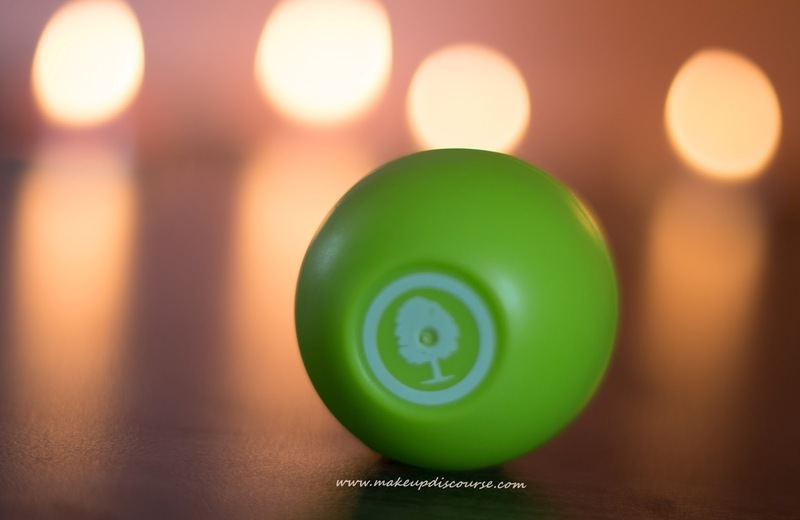 Organic Harvest Green Apple Lipbalm Review: Is it EOS Lip Balm Dupe? The Product has been provided by the brand for consideration. I was invited to the Organic Harvest Juhu Store launch. A gift hamper was provided for consideration. I also bought their Daily Shampoo which is SLS/SLES and Paraben free, I am left with few washes and my review is due. 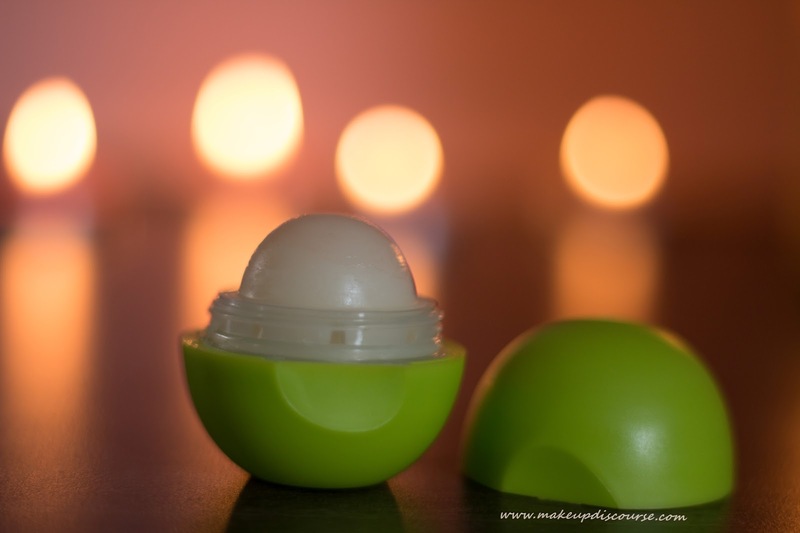 Organic Harvest Green Apple Lipbalm was the first thing I tested which of course could be assumed as EOS dupe. But wait till you hear out my conclusion. I am left with a flattened dome, good enough to last me for a couple of weeks. I have an anxiety-induced habit of biting my lip and the only way I can keep myself biting off my lip is by layering them with balm. And it takes reminding, to constantly reapplying the balm, out of anxiety again! A slight waxy formula. It does instantly soften the dryness and flakiness. And to my disenchantment, it disappeared into nothingness. Who am I kidding? The waxy formula dissipates into an invisible waxy veil with more or less shine-free finish, unlike the conventional lip balms. I hope that I put that across decently. And if you layer, it does have a slight tendency to look whitish with visibility of the wax. 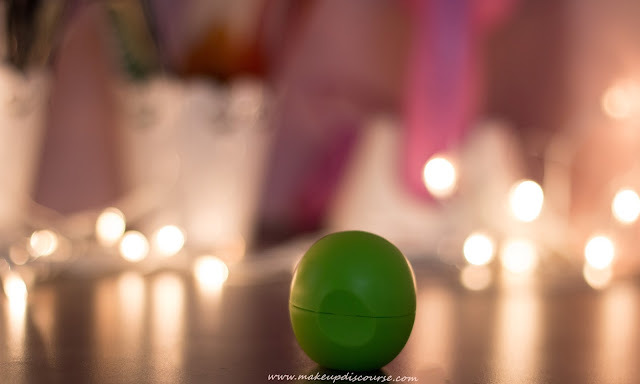 EOS lip balm does not dissipate but brings out rather a healthy flush due to peppermint in it. EOS is comforting on the lips. I find Organic Harvest Lipbalm needs less frequent application in comparison to EOS lip balm. Perhaps, due to the waxy formula. EOS lip balms do not survive meals. To put it straight, both of these need reapplication but I prefer Organic Harvest lip balm underneath my mattes and EOS lip balm on its own, mostly indoors or when I give lip colours a miss. Organic Harvest lip balm is available across leading e-commerce website and their standalone stores. EOS lip balm is available only on selected e-commerce website with price variations. There is a colossal difference in the price points. Organic Harvest lip balm retails for 199 INR while EOS lip balm retails for anywhere between 500 INR to 600 INR depending on the re-sellers. Other variants available for Organic Harvest lip balms are Pomegranate, Strawberry, and Shea. 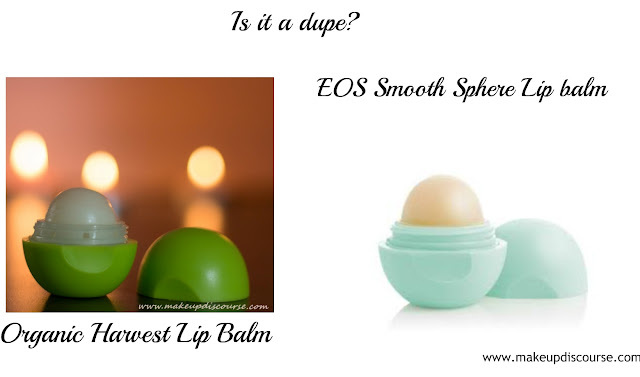 EOS lip balms are available in so many other variants. Sweet mint is my favourite, though. Is Organic Harvest lip balm a dupe for EOS lip balm? No, except for the packaging there is no likeness in the texture of these two. Organic Harvest, in my opinion, has a unique texture which on application goes lustrous on application but settles into a shine-free veil. This uniqueness I find quite flattering underneath a matte lipstick due to its waxy formula which tends to go opaque if layered. Especially underneath the Colourpop Matte Lipcolours, the OH lip balm works for me. I dislike wearing OH lip balm on its own, which is probably my only dislike with the product. Cruelty-free status: Organic Harvest is Cruelty-free. EOS is not Cruelty-free. Is Organic Harvest Lip Care Balm Vegan? Sadly, It is not Vegan. Even though the ingredient list is missing. One of the key ingredients is "ECO certified Lanolin" which makes it unsuitable for vegans.